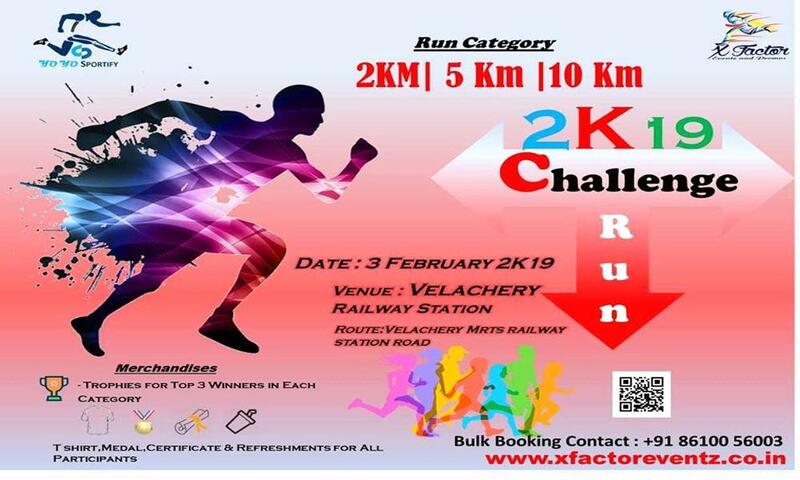 2K19 Challenge Run will be held on 24th of February 2019 at Perungudi Station Road, Chennai. The Challenge Run is about enjoying your active holiday with your loved ones. Actually, it is family friendly and professionally run event. This running event is open to all levels of fitness and aged peoples. We recommend you should have a basic level of road cycling experience. This ride will be led by X – Factor.